Pack Reviews: What is the consensus on our packs? We make gear that is meant to be used. Hard. And no one puts our gear through its paces like these top-tier reviewers. These guys and gals push our gear to the limit so they can provide you with a fair and accurate review of our packs. Check out some of the reviews we got this year from some of the best in the business. SectionHiker and the 3400 Southwest Pack: Last year the 2400 Southwest Pack earned SectionHiker’s 2015 “Gear of the Year” Award, so it is no surprise that Philip Werner also loved the 3400 version. “The Hyperlite Mountain Gear 3400 Southwest Backpack is a bomber multi-day backpack geared for tough adventures that will rip most other ultralight-style pack to shreds. It you’re rough on backpacks, but still want one that only weighs two pounds, the 3400 Southwest pack probably has your name on it.” Read the full review. 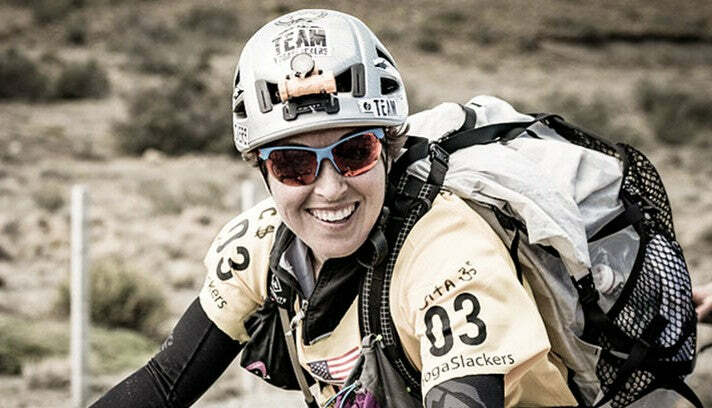 Chelsey Magness, GearJunkie Reviewer and Adventure Racer. GearJunkie and the 2400 Windrider Pack: As one of the top sources for gear reviews, news and stories, it is hard to ignore a review from these guys. Chelsey Magness’ concluding thought is “…it’s light at 28.2 ounces; it’s functional, waterproof and comfortable, and the material is about as durable as it gets — you may never need to buy another backpack again.” Check it out. 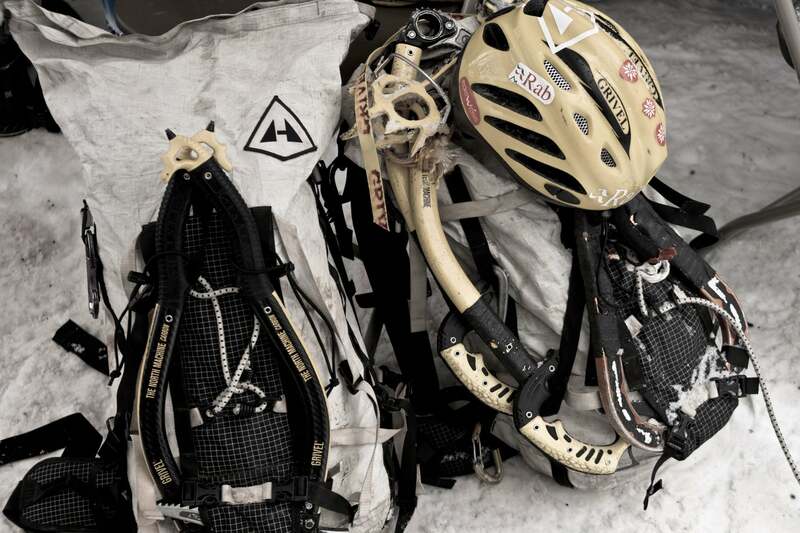 Mary Moynihan is on her way to being the 1st woman to the Calendar Triple Crown using our 3400 Windrider Pack. Marriedtothetrail and the 3400 Windrider Pack: Mary “Speedstick” Moynihan is Triple Crowner who is currently attempting the superhuman feat of the “Calendar Triple Crown,” for more info on Speedstick check out our blog post here (https://www.hyperlitemountaingear.com/blog/married-trail-part-moynihan-tries-calendar-triple-crown/). 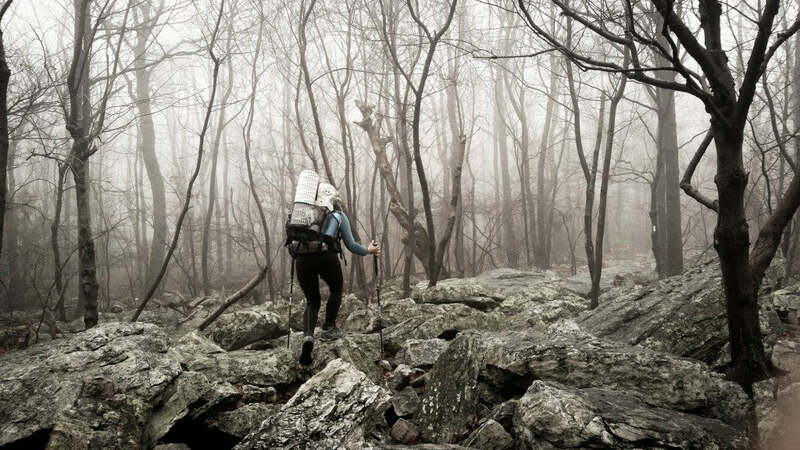 She is also a gear aficionado and reviewed her 3400 Windrider while hiking on the Appalachian Trail. Her favorite part of the pack was its ability to stay dry, she said, “On a long-distance hiking trail, where you don’t have access at the end of the day to get inside and thaw out, it’s crucial to keep all those warm, insulating layers that are stowed inside your backpack dry. And my 3400 Windrider Pack does exactly that: it keeps the elements out.” Read more. Kt Miller in the Montana backcountry. Photo by Beau Fredlund. 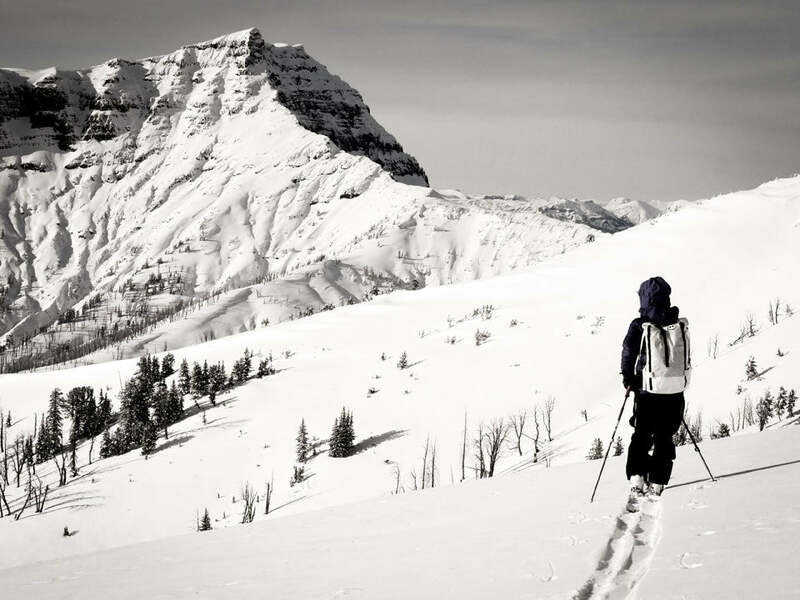 Wild Snow and the 2400 Porter Pack: Beau Fredlund is a well-known ski guide and member of the outdoor community. His fantastic photos have been featured on our Instagram and consistently impressed us. One key point he brought up is that, “The Hyperlite Mountain Gear Porter strikes a nice balance between utility, comfort, durability and weight. To begin, these rucksacks just feel comfortable — plain and simple.” Keep Reading. Carryology and the 2400 Ice Pack: Rick Lee of Carryology needed a pack for his attempt at summiting Mount Aspiring (New Zealand’s sixth highest peak). He said that he chose the ultralight 2400 Ice Pack because it, “uses state-of-the-art Dyneema® Composite Fabrics (formerly Cuben Fiber)- a fabric known for its strength, weatherproofness, and weight (or lack thereof). In addition, HMG designed this pack to carry ice tools and crampons, which are notoriously, sharp things to carry.” He enjoyed the pack and gave his final verdict saying, “The Ice Pack is an excellent technical bag and deserves to be on the shortlist for best bags in its category. Every aspect of it reminds you this is not your average day bag; from the ultralight Dyneema fabric to its mostly white styling it belongs at altitude pushing for the summit.” Full review. Carryology and the Dyneema® 2400 Ice Pack: Carryology exists for one reason, to discuss what backpacks are the best. So when the Dyneema® 2400 Ice Pack won the title “Best Active Backpack” in their 4th Annual Carry Awards you know it means it’s a good pack. As Carryology said, “If the job of an active pack is to keep your essentials close and protected, with minimal interference in your pursuit, then Hyperlite’s Dyneema® 2400 Ice Pack is a very worthy winner indeed.” Want more? 2400 Ice Pack, Ouray Ice Festival, 2016. Trailspace and the Dyneema® 2400 Ice Pack: Trailspace is known for their thorough reviews of all sorts of gear. This review is from Jake W and has been marked by Trailspace as one of the best reviews on their site for quality. He had great things to say about the pack, including “If a sub-two pound, indestructible, dialed in alpine climbing, heirloom pack is what you’re searching for, I think this is worth your consideration,” and finished off the review with a four out of five star rating. Finish the review. Blister Gear Review and the Dyneema® 3400 Ice Pack: Blister Gear Review is a group of people dedicated to providing the most honest and in-depth gear review out there. They put the gear through its paces in order to determine the quality and the value. Blister tested a custom-built 3400 Dyneema® Ice Pack and found that it met all their expectations and more. Matt Zia said, “This is not a pack for everyday adventuring, nor for those who require lots of pockets for organization. But for those who put a premium on low weight and durability, the Ice Pack deserves very serious consideration. It is one of the best packs I’ve ever used.” More. 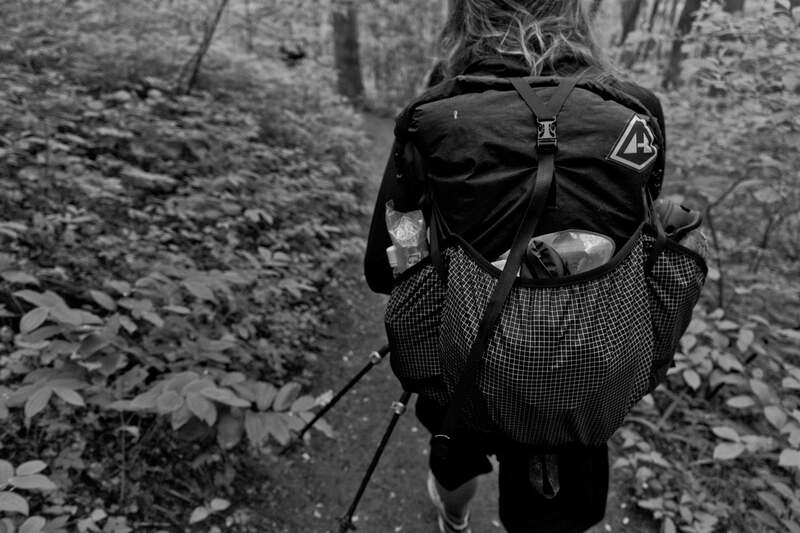 Thank you to all the gear reviewers who take the time to share their thoughts on our packs. The post Pack Reviews: What is the consensus on our packs? appeared first on Hyperlite Mountain Gear Blog.